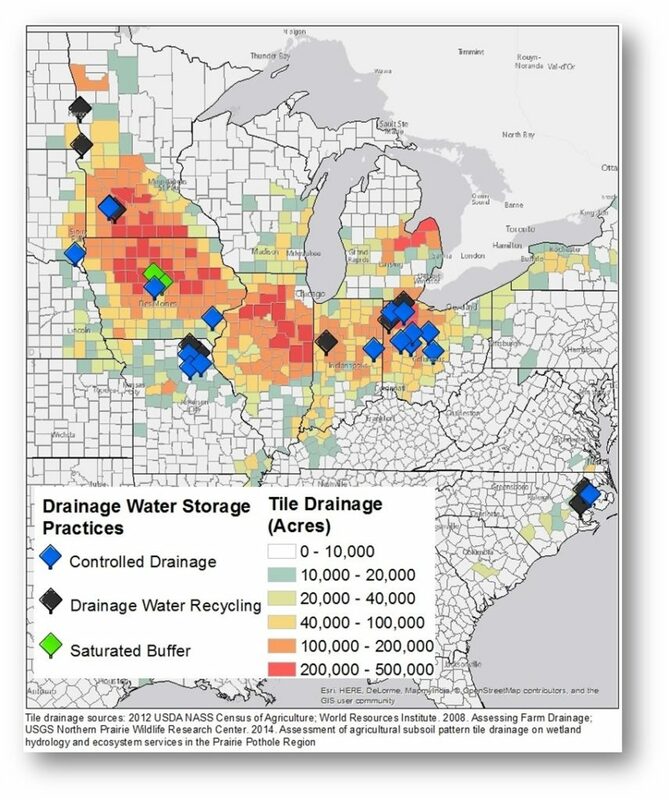 The Transforming Drainage project is working to determine economic and environmental benefits and costs of drainage water storage practices through field­-scale research, modeling, and economic analysis. Data compiled during this project will be stored within a central database available at the USDA National Agricultural Library to allow partners and researchers to extend results across space and time to achieve insights with regional scope and impact. Example data that are being collected at sites include water flow, nutrient concentrations and fluxes, water table height, soil moisture, crop yield, and other variables such as evapotranspiration, surface runoff, and snowfall. Below are 1-page summaries of field research sites in the project. These documents will help you understand a little more about each site and what research is being done across the Midwest.